Extended Warranty: What is it? Why Should You Get an Extended Warranty? What if You Purchase a New Car? When Can You Purchase an Extended Warranty? How to stop car warranty calls? What is a factory warranty on a car? Which type of warranty would you find on a new car? What car company has the best warranty? How to buy extended warranty for used car? How to buy warranty for used car? How long is a car battery warranty? How to extend car warranty? How long does a car warranty last? What to do before car warranty expires? How to use car warranty? What is the best extended car warranty? When does the warranty start on a new car? What is Honda warranty on a new car? How do car battery warranties work? What is an implied warranty on a used car? 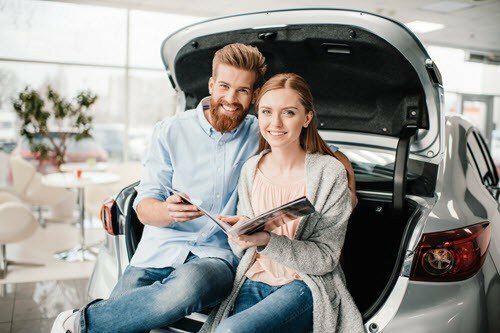 What is Toyota warranty for new car? What is a limited warranty on a car? What is the Hyundai warranty on a used car? What is a certified used car warranty? What is Toyota certified used car warranty? What is the powertrain in a car warranty? How long are cosmetics on my car under warranty? What does extended warranty cover on a car? How much warranty is left on my car? When does my car warranty expire? What does new car warranty cover? What does a 3-month used car warranty cover? Why are powertrain warranties longer? What modifications void car warranty? How long does it take to get a car warranty refund? How to check if my car has extended warranty? How to cancel extended car warranty? When to buy extended car warranty? How to get out of used car extended warranty? Is interior damage covered by warranty? Are oil changes covered by warranty? How long do extended car warranties last? How much does a used car warranty cost? Who pays for car warranty work? How to buy a 3rd party car warranty? Why do car warranty prices differ? If I cancel an extended warranty, will I get a refund? What is the best aftermarket car warranty? When you go shopping for a vehicle it is an exciting experience. You may do research on the types of vehicles that are available and narrow down your choices. You may also know the exact vehicle and exactly where it is. Either way, many people put a lot of time into researching the vehicle they want to buy and not the add-ons that come with the vehicle. Many people don’t know that you can refuse certain add-ons. There are many that aren’t worth the money you may spend, especially if it is rolled into the financing of the vehicle. You may spend thousands of dollars on something you’ll never use. Most of the time a car purchase will come with the offer of an extended warranty. The confusing thing is that there are many names for an extended warranty. You may here extended service contract, service agreements, vehicle protection plan, breakdown insurance, and others that all mean the same thing. An extended warranty offers to pay for the repairs after a warranty provided by the manufacturer expires. Considering why you need an extended warranty will help you feel good about the money you invest in a car down the road. While you may have many questions about your vehicle, your extended warranty knowledge is just as important. You can spend or save thousands of dollars based on the kind of coverage you have and where it comes from. 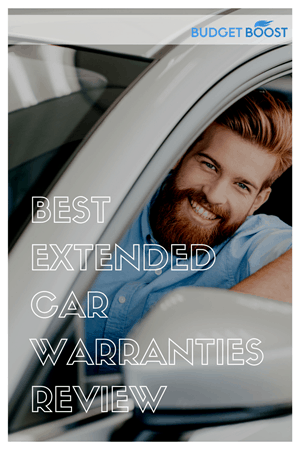 Extended warranties are contracts that commit to covering the auto repairs needed once the manufacturer’s warranty expires. While they do cover many things, it is typical that they don’t cover minor maintenance. Oil changes, brakes, tires, and filters might not be in the contract. Some extended warranties come with benefits for roadside assistance and protection if your trip is interrupted. Towing is also included in some extended warranties. An extended warranty can cover your vehicle for a certain number of years or miles. The warranty may be structured to cover your vehicle for miles or years. Some vehicles have a powertrain warranty that lasts longer than the standard warranty. A policy that covers everything, but the powertrain is called a “wrap” policy. An extended warranty can save you a lot of money or be something you never use. Determining if you want to gamble on buying the warranty or not having one is something you must decide based on your preferences. Savings is a crucial factor on if you should get an extended warranty or not. If you have money set aside for unexpected car maintenance, an extended warranty isn’t needed. Set the money aside for a major fix, and keep funding your maintenance account, so you are prepared for anything that might happen in an emergency. If you use your car a lot, you may want to consider the extended warranty. The warranty that comes with your car is probably based on mileage and may run out before your car loan is fully paid. An extended warranty can help keep costs down if you need quick maintenance or have a major problem and don’t have the cash. If you have a tight budget or expect a major change in your finances in the future, an extended warranty may be good for you. If the policy works directly with the shop, you may have no out-of-pocket expenses. Making sure you can save the money for an unexpected circumstance is important if you won’t have a warranty on your vehicle. Researching the typical repairs of the car you want to buy new, is a good idea. If the warranty that comes with your new car is great, you may not want to buy an extended warranty. Compare the warranty that comes with your new vehicle and the extended warranty to make sure the items you want to be covered, remain covered on the extended plan. Study the reliability of a vehicle to decide if you want to invest in an extended warranty. If the vehicle has good ratings for reliability you may want to forgo the extended warranty. Decide how long you will have your new car. If you know you will trade the car in, the extended warranty probably isn’t important, but it may raise the value of your vehicle if you sell it and you can transfer the warranty. If the vehicle you buy is a reliable vehicle, you may not need the extended warranty. You might have more peace of mind with the extended warranty because you don’t know how it was driven prior to you owning it. It may be a car that has issues in 10,000 miles or a vehicle that goes 50,000 miles fine. Researching the vehicle, you want is important. You may not be able to determine how it was driven before you, but you can determine how reliable the car is via the internet and doing some research on typical problems. The car should have a used car ranking that gives statistics for reliability and dependability. You can determine the potential problems your vehicle may have by reading what others say about their vehicle on forums. Your used car may have defects that everyone experiences. There are a lot of options when it comes to which extended warranty to choose. There are extended warranties offered by manufacturers, dealers, and warranty companies. 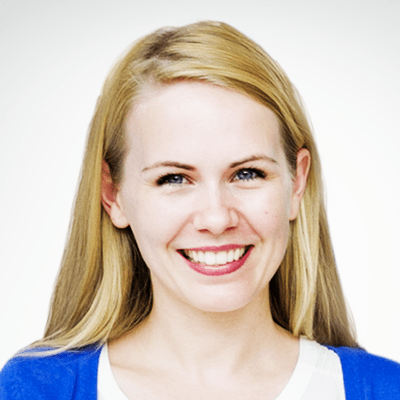 There are some key factors that you should know about each choice, so the decision is easier. You should find out how the repairs are reimbursed. Many times, the warranty will work directly with the shop your car is in, but some will need preapproval and reimburse you for the expenses. This way, you’d still have to have a large amount of money on hand. Find out if you can transfer the policy to someone else. If you sell your car or give it away, you may want to include the extended warranty. An extended warranty is written in one out of two ways. Inclusionary and exclusionary describe the way the contract is worded so you know what it covers. Inclusionary means the contract will list all the things it includes. If something isn’t on the list, it isn’t covered. Exclusionary means the contract will cover everything but the items on the list. This is usually the better of the two because more tends to be covered in the extended warranty. Make sure to read everything in the contract and not the brochure, so you can go through every line of the contract and decide what is included or not. You can usually expect to pay more for an exclusionary contract. Knowing how and where to get your car serviced is important. Ask the questions about locations and what to do when you travel. If these things aren’t listed in the contract, it is probably not a good extended warranty. Everything about how and where you should take your car to get it serviced needs to be in the contract. Having someone tell you to come in and they’ll take care of it isn’t reliable. Even if a shop gives you an extended warranty, make sure the contract is thorough and lets you know all the information about locations and traveling. Determine how many locations you can have your vehicle serviced by reading the contract. If it is only one location, that means if you aren’t local, you can’t get your vehicle serviced. Who Backs the Extended Warranty? Extended warranties can come from auto manufacturers or third-parties. If the extended warranty you want is backed by a third-party, do some research. If the company goes out of business, your warranty will probably not be valid. If the dealership backs the extended warranty, you may be able to only get it serviced at the dealership. If that car dealership closes, you won’t be able to use the warranty. You may also have longer wait times if you can only have your vehicle serviced at one place. When you buy your vehicle, you will probably be offered the coverage as an add-on. You can get them in many other places as well. You can buy an extended warranty at an insurance company, a bank, a credit union, or other lenders. Most places sell the warranty regardless of if you bought the vehicle through them. When you decide to buy an extended warranty, research is important. Feel free to ask for more information or what the whole policy looks like. Pamphlets won’t show you all the terms and conditions of the contract. Research the companies that you want to buy a warranty with and make sure they are stable and have helpful reviews. You may feel better getting your extended warranty with a company you already do business with, like a lender or insurance company. While they may offer the policies, make sure you know who backs the policy. Once you’ve decided to buy the extended warranty for your vehicle, you may want to roll it into financing with your vehicle. Factor the monthly costs for the warranty and know that you will pay the interest rate for your car loan on the warranty too. This makes the cost of the warranty much higher. It is easy to dismiss how much an extended warranty costs because the totals with interest may not be clear. You can wait to buy extended coverage for your vehicle. This keeps your monthly payment lower and you won’t be financing your warranty. Buying it outright is the best way to know exactly what you are paying for the extended warranty. Because the extended warranty doesn’t have to be bought instantly, you have time to decide what policy you want and save money to buy it. You can buy an extended warranty at almost any time. If the miles accrued get to high on your vehicle you may not be able to get an extended warranty. There is no rush for a good deal or to buy the policy as you buy your vehicle. You have plenty of time to evaluate warranties and buy the best one for your situation. If you feel pressured to buy an extended warranty while you buy your vehicle, the salesperson is probably getting a commission from selling it. You don’t have to buy, and the good deal will probably still be there in a week or two. Feel free to take the information home to study it and decide later. Buying a car usually also involves being offered car warranties that promise to protect your investment from additional repair costs. But how do these warranties actually work? What is covered and what isn’t? Find out the answers to your questions with our FAQs on Extended Car Warranties. Know what are car warranties, how they work, and other basic details with our handy guide below. Car warranty is the assurance that a manufacturer will shoulder all the cost of repairing and/or replacing a brand-new car should it malfunction during the warranty period. Car warranties have a specific effectivity period. During the period, everything about the car that malfunctions will be repaired or replaced for free by the manufacturer, provided that the parts are covered in the warranty. Warranty calls can be annoying, but you can try blocking an unknown number which has called you twice. You should also avoid giving out your number to companies as much as possible. Finally, you can also seek assistance from the Federal Trade Commission. Factory warranty is the warranty that comes with any new car purchase. Typically, factory car warranties cover the first three years or 36,000 miles of the car after purchase, whichever comes first. When you buy a new car, you will be eligible for the factory warranty by default. This is usually good for three years or 36,000 miles, but there are also some warranties like the 10-year powertrain warranties that certain car makers have. Most car warranties are pretty much the same, varying slightly in years. But recently, Volkswagen has been offering a factory warranty for 6 years or 72,000 miles, which is tops in its segment. If you are interested in getting an extended warranty for your car, you can often directly get it from the dealer where you bought your car. It’s an agreement that extends the service warranty period, and you’d have to pay fees (usually annual) for the privilege. There are a lot of companies that offer warranties for used vehicles. However, your car will need to undergo extensive assessment to determine the cost of the warranty, which can vary depending on what inherent damages your car may have. The warranty on car batteries usually depend on the class of the battery. Entry-level batteries usually just have a year of warranty and also have a shorter life than more expensive batteries. High-end batteries can have up to three-year warranties. Car warranty extension is a service that you can opt for if you want a greater sense of security for your vehicle. For new cars, you can easily get it through your dealer or other companies offering the service. For used cars, there’s a car assessment involved first. For factory warranties, the length of coverage depends on the manufacturer. The industry standard is three years/36,000 miles, but other manufacturers can offer five or even six years warranty. Before your car warranty expires, it is best to have a thorough service check for your vehicle. In this way, if there are any lingering problems with your car, you can still have it repaired for free. Once a car exhibits problem, you can take it back to the dealer for inspection. If the problem in question is covered by the warranty, then the dealer will have it repaired for you free of charge. In some cases, they even replace defective parts. Like other services, extended car warranties vary in term of quality. Some companies have higher prices and some have cheaper ones. That said, the big companies like Carchex, Endurance, and CarShield have good track records when it comes to extended warranties. A factory warranty on a car starts on the day of purchase of the vehicle. The moment you take it out of the dealership, the time on the warranty starts ticking and counting against the warranty period. Honda follows the industry standard when it comes to warranties. All Honda cars have a 3-year/36,000 miles limited warranty plus 5-year/60,000 miles warranty for the powertrain of the vehicle. Car battery warranties work like car warranties. If a battery exhibits problems within its warranty period, the dealer you bought it from can either repair or replace the entire battery for free. Implied warranties are coverages that aren’t explicitly stated but nonetheless applies to used cars. For example, if a dealer wasn’t truthful about the condition of car or what is termed as “as is”, then the buyer can make the case for implied warranty service and have it repaired for free. The basic factory warranty for Toyota cars is 3 years/36,000 miles. They also provide warranties for powertrains, which is at 5 years/60,000 miles. A limited warranty on a car is also like limited warranties on other items. It means that there are only specific areas or parts of your car that are included in the warranty, and not the entire car itself. Hyundai is one of the manufacturers that offer a longer warranty than the industry standard. All Hyundai cars in America have a 5-year/60,000 miles factory warranty and a 10-year/100,000 miles powertrain warranty. Certified used car warranty or also called certified pre-owned warranty is a warranty for a used car that is backed by the manufacturer itself, not just the dealer. It typically has more extensive coverage than regular dealer warranties. A Toyota certified used car warranty is a kind of warranty for used Toyota vehicles that is offered by Toyota itself. It differs from regular dealer warranties in that it usually has more coverage even for used vehicles. Powertrains usually have a separate warranty than the warranty for the entire body of the car. Manufacturers often give powertrains (or the parts that give the car power and make it move) longer warranties. Car warranties typically cover the mechanical and electrical parts of the vehicle. Cosmetic damages such as scratches or dings to the car are not included in the warranty. Know which parts of your car are covered, for how long, and the reasons why in our guide below. Typically, factory warranties cover much of what makes the vehicle function normally such as all major vehicle systems, air conditioning and heating, electrical components and safety features, and other mechanical parts. It will depend on which warranty provider you go to and their corresponding warranty plans. Most will offer to cover all the lubricated parts of the engine and transmission, while some might offer to cover other issues. Extended car warranties differ in their coverage depending on the price. The higher the price, the more extensive the coverage on your car. Some extended warranties even cover parts considered as part of the normal wear and tear of the car. Knowing how much warranty is left on your car is just a matter of inquiring with your dealer or provider of an extended warranty. For factory warranties, you can refer to your manufacturer’s manual and compute your mileage accordingly. With factory warranties, it is based on what the manufacturer offers for their vehicles. Hyundai, for example, offers 5-year/60,000 miles, while Toyota only offers 3-year/36,000 miles. New car warranties typically cover every part of the car that is essential to its normal operation, excluding only cosmetic damages and wear and tear parts such brakes, tires, and the like. Of course, it will also exclude damages caused by the owner. Used car warranty coverage depends largely on the dealer that’s issuing the warranty. Most car dealers will not cover wear and tear items, and would require significant damages to the mechanical parts of used cars before honoring the warranty. Powertrain warranties are usually longer than typical factory warranties because these are the parts of the vehicle that are supposed to last the longest. They are supposed to be very durable and is critical to the proper functioning of the car. So you now have an extended warranty. Do you know the things that can void it? How can you check if you’re still covered? Read on below to find out. Aside from normal wear and tear, probably the biggest thing that can void a warranty is damage caused by the owner, either by accident or by modifications such as installation of aftermarket parts. While many dealers claim that any kind of modification to your car voids its warranty, under the Magnuson-Moss Warranty Act of 1975, the dealer must be able to prove that the aftermarket equipment indeed caused the damage before they can deny you the coverage of the warranty. Car warranty refunds, unfortunately, often take a long time to reach the client. It typically can take anywhere from four to six weeks before you can get your car warranty refund. Checking if your car has an extended warranty is the same as checking if it still has factory warranty. You will need to go to your dealer and ask for your car’s complete warranty record. Cancelling your extended car warranty is just a matter of you requesting it to your dealer, and you can do it any time. You dealer might pressure you otherwise but it is your right to have it cancelled any time you want. Buying an extended car warranty is a matter of personal preference. Some people would like to peace of mind, while some might balk at paying extra on top of their car purchase. It’s really up to you. To cancel your used car extended warranty, just go to your dealer and ask them to cancel it. They will usually have you fill out a cancellation form where you will state the reason why you no longer want your used car extended warranty. Interior damages such as holes in the seat, broken plastic parts, and the like are not usually covered by car warranties. However, if proven to be a factory defect, interior damages can be included in the warranty. No. Oil changes are considered to be part of the regular maintenance items of the car, which also includes tire rotations and others. These items are not included in warranties. It depends on your preference. Car warranty providers can give quotes for different terms of coverage, and this is especially true for used cars. You can purchase a two-year warranty or a seven-year warranty or even longer. Get to know the basics of buying car warranties such as price, as well as which providers are the best. There really is no standard cost when it comes to used car warranties, as it largely depends on the provider and the type of car you’re purchasing. Typically, the more expensive the car is, the more expensive the warranty cost is as well. Extended warranties on new cars typically cost anywhere from $300 to $750 per year, depending on the type of car you’re purchasing. For warranty work, the customer usually doesn’t have to pay anything. The dealer is the one who shoulders the initial cost, and is usually paid back by the manufacturer if the repair is approved. All this happens behind the scenes and does not involve the customer. While dealerships offer extended warranties themselves, you can also get a third party car warranty provider like Endurance and Easycare. You will just need to contact them and provide information about your car to get a quotation. 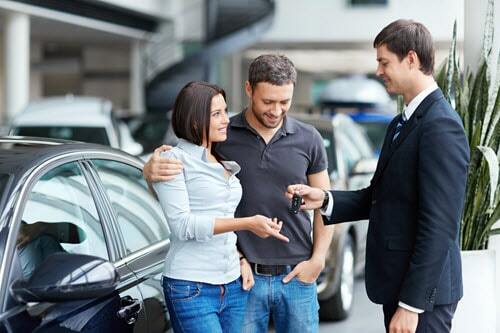 Car warranties differ per provider because it is based on a several factors. Some of these factors are the make and model of the car, mileage, condition of the car, and the coverage of the warranty itself. Depends on what kind of warranty you have. If it’s a standalone warranty, you will get a prorated refund amount for the portion of the warranty that is unused. But if it’s a part of the car loan, the term of the payment will just be shorter, but you won’t get cash refunds. It depends on your needs and the condition of your vehicle. Popular companies such as CARCHEX, CarShield, and Concored Auto Protect typically offer good extended warranties, but they can differ in their assessment of your car’s condition.